Globe Investor What do the mining watchdogs see? The Chilean government has ordered Barrick Gold Corp. to close all surface facilities at its Pascua-Lama project high in the Andes mountains. The gold mine, which straddles the Chile-Argentina border, has been criticized for threatening water supplies and glaciers. There are thousands of Canadian mining companies and thousands of Canadian-affiliated exploration projects in different stages of development around the globe. In Canada alone, there are roughly 150 to 200 mines in operation. Then there is MiningWatch Canada, which provided the numbers above. It is a watchdog organization in Canada devoted to covering these thousands of Canadian mining interests domestically and worldwide. It has a staff of five. So, for investors trying to weigh the ethical, environmental and social risks and potential controversies surrounding certain mines, "it's a real challenge. Even for groups like ours, even for the government for that matter, to really keep track of that many players, it's a constant challenge," said Ugo Lapointe, Canadian program co-ordinator at MiningWatch Canada in Ottawa. This limited oversight means that the biggest mining controversies get the most attention, as one would expect. What pushes controversies into becoming major ones – and a major disincentive for ethically minded investors – is when a situation grabs headlines as a human-rights violation. This includes the human right to a clean and healthy environment. "When I do work across Canada, I will respond to calls coming from municipalities, from First Nations that are affected by some of these controversial projects. These are the projects that we are working on [as the industry watchdog]," Mr. Lapointe noted. Mining projects that don't receive strong public complaints can easily get ignored, "which doesn't mean there's no problem with them," Mr. Lapointe said. It simply means that complaints aren't loud enough and haven't reached the level of a watchdog like MiningWatch, which opened its office in 1999 and receives the majority of its funding through a diverse group of foundations. This adds an extra layer of risk. For instance, a mining operation may receive environmental approval, but "that doesn't mean that they get the social licence," Mr. Lapointe said. Social issues, from pollution to Indigenous land claims, can still arise, and may be just a Twitter storm away. "Now the social licence is as big a risk as any of the other risks," Mr. Lapointe noted. "In the case of First Nations, we think not only of proper consultation, but we are talking about consent," he said. It's the need for clearer consent from communities for projects on their traditional lands, whether it's on treaty lands or claim lands. In trying to circumvent such risks, there is a movement toward shareholders (typically institutional investors and professional money managers with sufficient clout, who have the ear of mining executives) to foster more of a dialogue with mining companies. Instead of simply screening mining stocks from environmentally and ethically conscious investment funds (that is, the niche known in the industry as socially responsible investing, or SRI), the idea is to engage companies to change certain risky policies. "I think things are shifting," said Dana Sasarean, lead mining analyst in Toronto at Sustainalytics, a firm which analyzes sustainability and other ethical risks of companies. "[There's] social media and the fact that there are so many better ways for communities to share concerns and to blow the whistle, and to make things explode quickly in terms of reputation and impact." 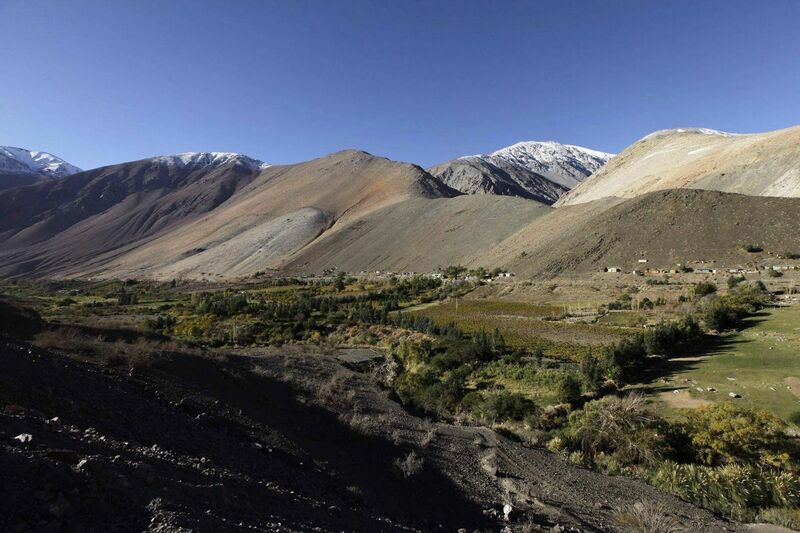 Chile's ruling that Barrick Gold Corp. must shut the above-ground plans for its huge Pascua-Lama gold and silver mine in the Andes was prompted by strong local opposition (although Barrick has been exploring plans to restart the project as an underground mine). The project has received criticism from local groups concerned with the threat of pollution to water and glaciers in the high, arid terrain. "The rhetoric of what they need to do on the ground to address that is changing. There are new ways of engaging with the communities, listening to the communities. Not going it alone," Ms. Sasarean said. "I see companies trying to learn from other companies." Catherine Coumans, a resource co-ordinator at MiningWatch, who is the one person in the watchdog overseeing the entire Asia-Pacific region, is skeptical of this emphasis on engagement. She feels it pays lip service to problems. Particularly given the huge presence of mining in the Canadian economy, it's hard to divest entirely from mining, hence the need for the investment community to engage mining companies. Critics say this may lead only to further studies and promises by the companies to do good, rather than stopping the specific practices that local people are fighting. "They [the companies] are not going to do anything that interferes with the core activity," Ms. Coumans said. "And if that core activity is actually harming people, then there isn't going to be much that they are going to do about that. There is a real disconnect between what SRIs can ask for and get companies to do and what needs to happen." The creation by the federal government of the new watchdog office for human-rights abuses caused by Canadian companies operating abroad is seen by some as helping to create a framework for regulators and companies for addressing controversies. A coalition of human-rights organizations (known as the Canadian Network of Corporate Accountability of which Mining Watch is a member), has been working for years to see the creation of this new independent watchdog (called the Canadian Ombudsperson for Responsible Enterprise). "But that's not enough. That's a non-judicial mechanism," Ms. Coumans at MiningWatch said. "What we really need is regulatory change and policy change that will allow us to hold parent companies in Canada to account for what their subsidiaries overseas are doing." So where does this leave investors? One option is to divest and to find alternatives, and a precedent might be found with funds that have racked up experience screening out energy stocks. Screening out energy has typically meant having to diversify more heavily outside of Canadian stocks, to look more at global technology and financial sector stocks for the growth that mining and energy stocks might provide. But then there is the question about whether to screen out all mining shares or just the shares of companies facing controversy? And what about banking stocks, given the banks' exposure to mining? "That's the big trick in this business. What's your exposure to mining? What's your exposure to oil? So, we're going to focus more on controversy in terms of the banks, in terms of what they're doing in some of these areas," said Wayne Wachell, chief executive and chief investment officer of Genus Capital Management in Vancouver, which specializes in fossil-free investing. He sees some of the same tactics for screening out energy stocks as being applicable to controversial mining investments. It also has similar challenges. "It definitely makes ESG investing [an investment focus on environmental, social and good governance issues] in Canada very difficult, going fossil-free as we are," he said. "If you take out energy, and you also screen out mining stocks, you're losing maybe a third of your universe."